Tropical North Queensland is blessed with some of the best natural scenery to be found anywhere. The region is unique in the fact that it is the only place on the globe where three distinctively different, and magnificently diverse environments sit side by side – the Great Barrier Reef, the Daintree Rainforest and further west, the Gulf Savannah. Within an hour and a half drive from the city of Cairns flow some of the finest tropical waterways to be found anywhere in the world. These rivers rise in the Northern Great Dividing Range and flow majestically through ancient rainforest up to 125 million years old before entering the Coral Sea. 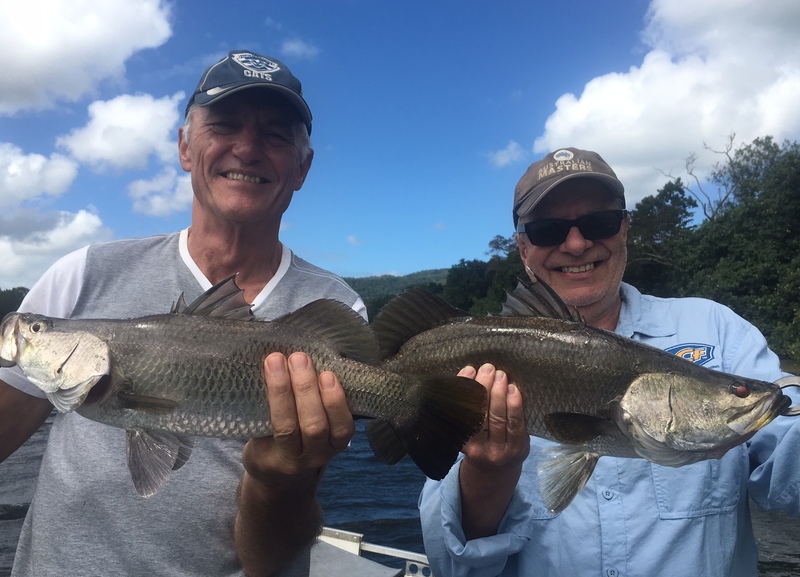 The world renowned Daintree River to the North, the equally impressive but lesser known “twins” the Russell and Mulgrave Rivers to the south as well as the North & South Johnson Rivers and Mourilyan Harbour are all fished regularly by local Charter Guides. Seasonal conditions play a major part in the range of species available at any given time, with the cooler months from April to August (we don’t really have a winter here in the Tropics) being particularly good for queenfish and the four species of trevally encountered locally. These great sportsfish can be caught up to 10 kgs, and on light 3-6 kg tackle offer even the experienced angler a great exhilerating work out. This is also prime time for flathead, bream, whiting, king and blue salmon, and estuary cod. In all, over 20 or so species can be encountered. 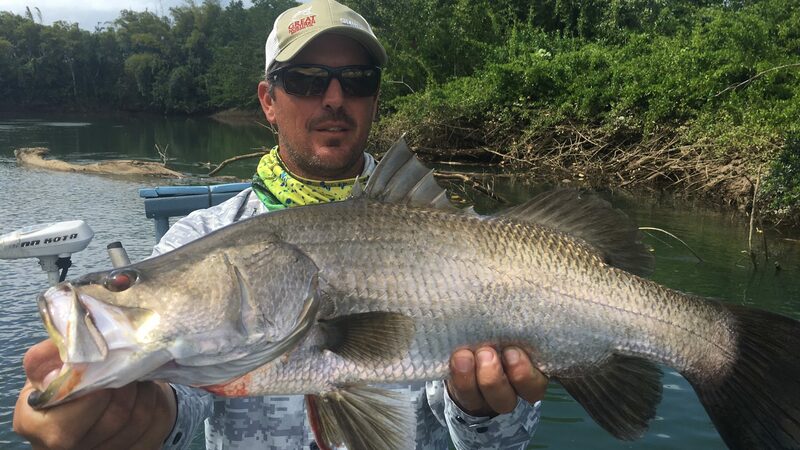 Barramundi are more active during the warmer summer months from September to March as they prepare for spawning. It is not uncommon to land specimens of over twenty pounds in the salt water reaches, with smaller juvenile fish to six pounds quite common up in the fresh sweet water. 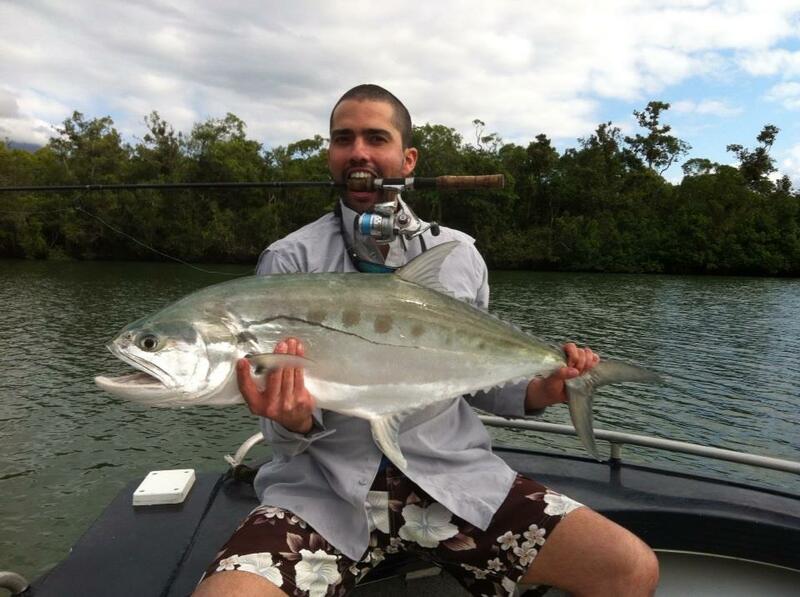 This is also prime time for mangrove jacks and fingermark. 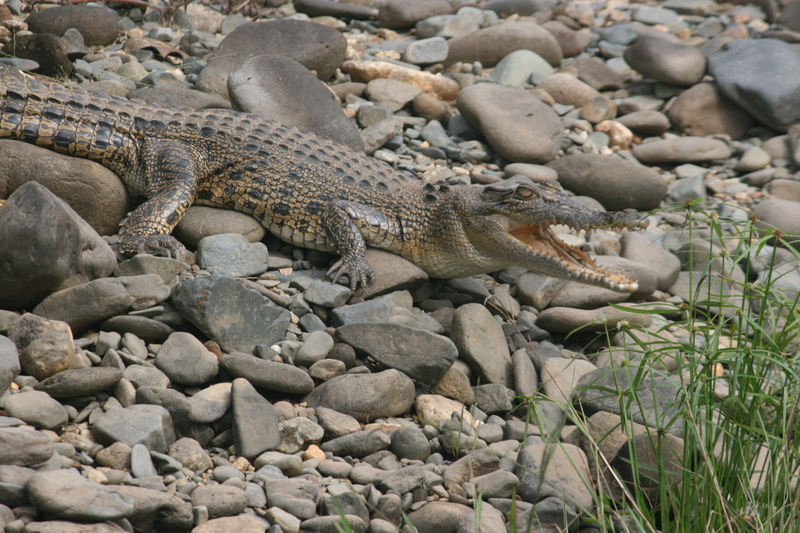 There is a closed season for the taking of Barra by any means during their breeding cycle. 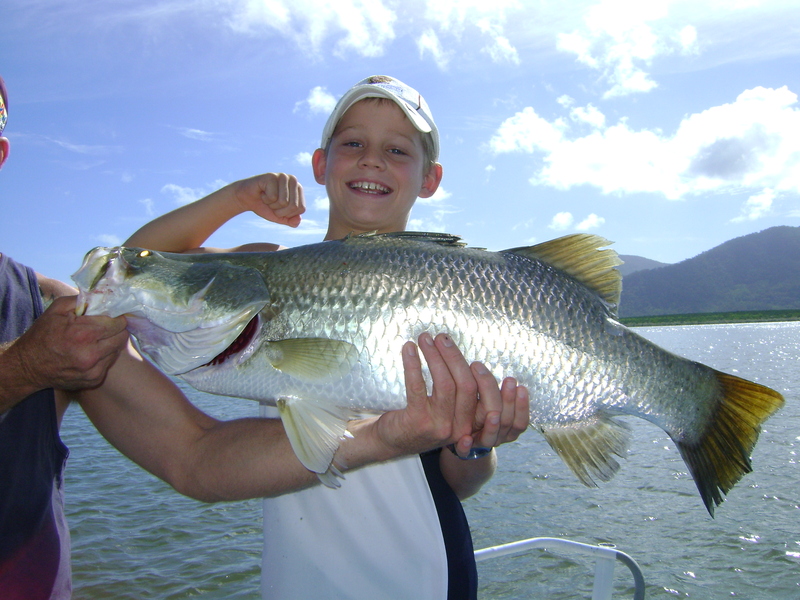 Any barramundi accidentally caught during this period must be returned unharmed to the water. For the East Coast fishery, this period is 1st November to 1st February each year, while the Gulf Fishery (Gulf of Carpentaria and the west coast of Cape York) is variable from year to year, depending upon the spawning season, and may start in early October. 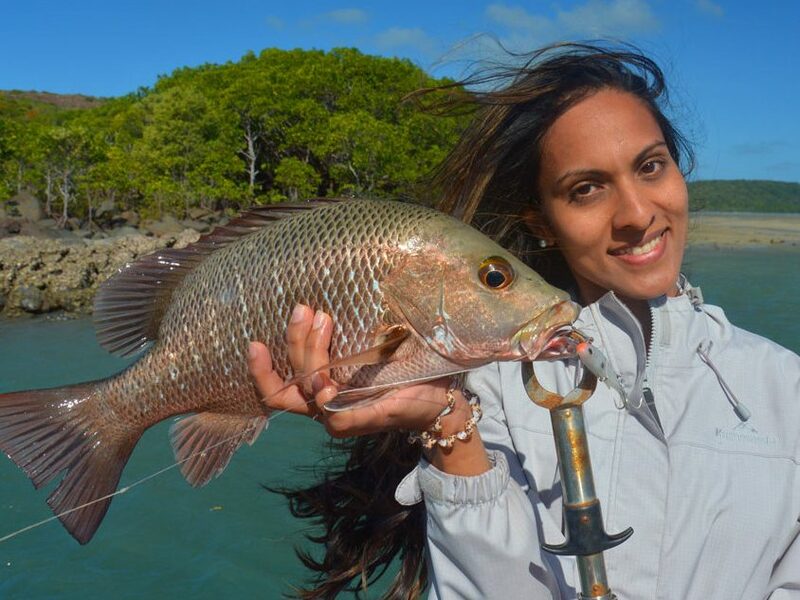 The fresh water regions also produce Sooty Grunter, a fresh water Black Bream, as well as that scrappy little fighter but fairly rare fish, the Jungle Perch. 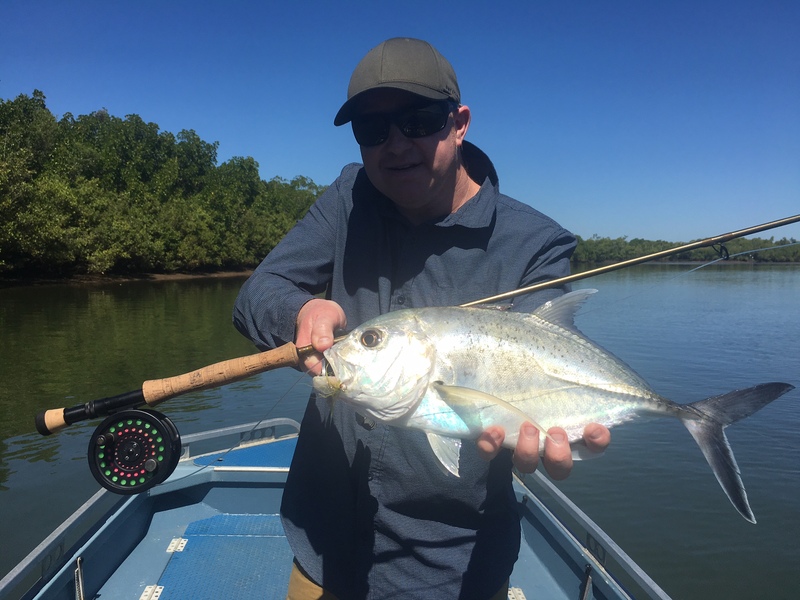 Light spinning, lure and fly fishing is the preferred method here and it is also possible to catch Australia’s smaller version of the Tarpon. A much prized fish in the Americas where it can reach sizes of over 200lb, our fish however peak out at about 8lb, but still does all the right things fight wise. 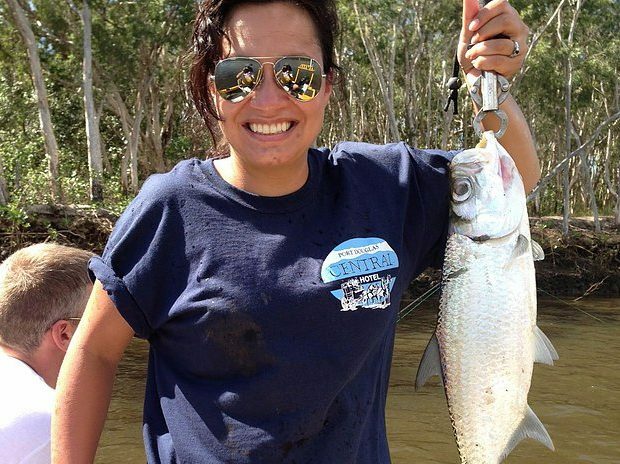 Full day share River Charters start out at $220 per person inclusive of tackle, light refreshments, tea, coffee, soft drinks and lunch with transfers from the various accommodation houses commencing at approximately 6.45am and concluding back at your hotel at approximately 4-5pm. Lure and fly fishing for the more experienced, discerning or keener angler starts out at approximately $750 per vessel (one to three persons plus guide). These personalized tours are all inclusive with starting and finishing times organized to give the angler the best tidal and weather conditions possible. Some operators offer a half day river charter depending on loadings and bookings, POA.